On a recent trip to Tuscany, I had decided to focus on the wine producers in and around the Chianti Classico region for the core of the visits. Tuscany is huge, and you need to focus on specific regions, or even sub-regions, to ease the burden of driving too much or not having enough time for a well-paced visit. I was based in Barberino Val D’elsa and was going to keep it to specific sub-regions on a single day or try to stop on my way back from a morning appointment so I was at the least working my way back west to home base. One of the top visits I made on this trip was an afternoon appointment in the beautifully isolated Radda in Chianti to Montevertine, which is located just down the hill from this ancient, fortified hilltop village. 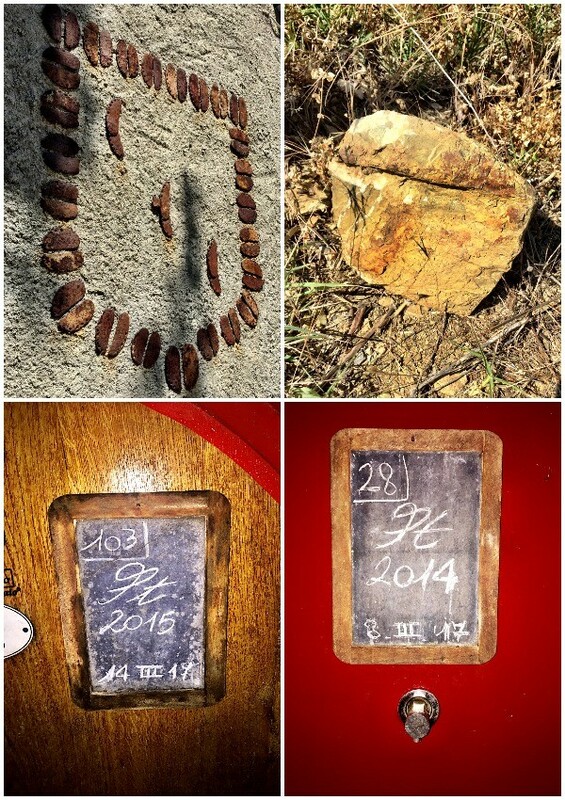 Montevertine is punk rock in terms of the rules regarding wine production in Chianti Classico. You see, they don’t follow any rules, they do not adhere to any of the classifications spelled out by the Chianti Classico DOCG Consorzio, that regulatory group that has as a mascot the black rooster. Why? Well, simply put they feel the best expression of their vineyards and the Sangiovese grape, is how they grow and make their wines, not how a government body dictates they should be made. In fact, the founder, Sergio Manetti, broke from the DOCG in the 1980s as he wanted to make a purely Sangiovese wine and call it Chianti, but the Consorzio was headed in a different direction. The DOCG started to allow and encouraged the planting of international grapes like Cabernet and Merlot. 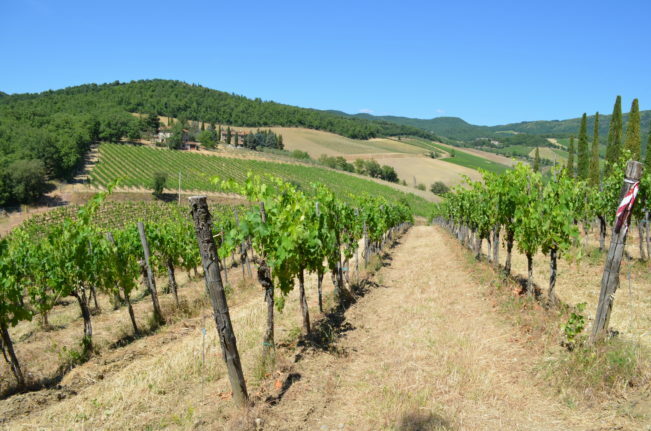 Leaving the DOCG is suicide for just about any producer in Chianti, but with the very long track record of success and a die-hard loyal following for Montevertine, they don’t have an issue with such concerns and are free to make the wines as they see fit. 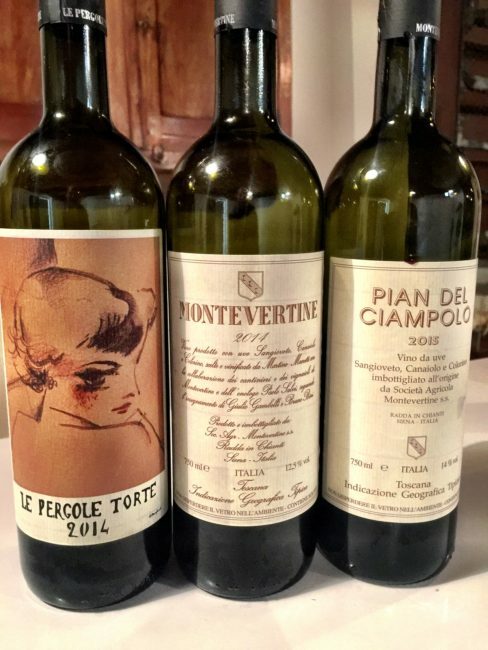 The 3 wines they make today are not a huge break from the wines of Chianti Classico, in fact, I’d say they are even more traditional than many of the producers that are members of the DOCG. It is my personal belief they are a pure and essential expression of the Sangiovese grape. The Montevertine Vineyard, 2.5 hectares, first planted in 1982, partially replanted in 2008. There are 3 wines that are made here from 18 hectares of vineyards, the Pian del Ciampolo, Montevertine, and Le Pergole Torte. Each represents a different expression of wine from Sangiovese. All of the wines go through initial and malolactic fermentation in lined cement tanks. 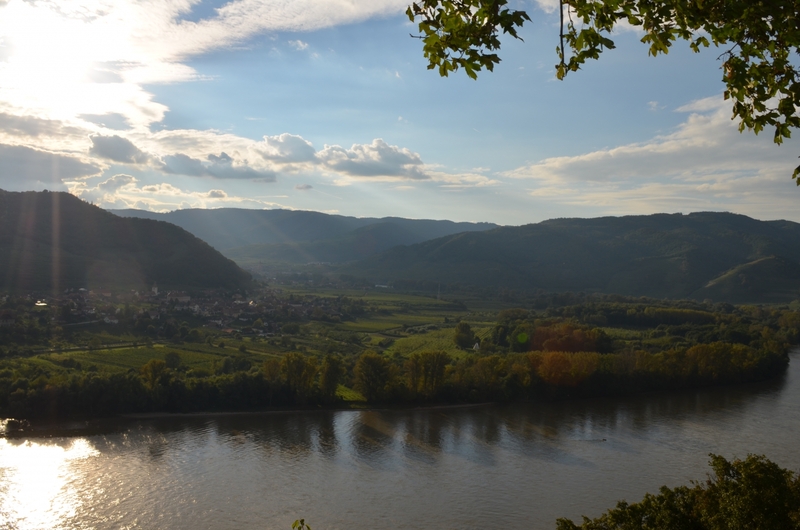 While the initial or in some cases total maturation is in various larger, old Slovenian oak barrels. Le Pergole Torte does see a dose of French oak, something the fruit from the best sites is able to withstand. 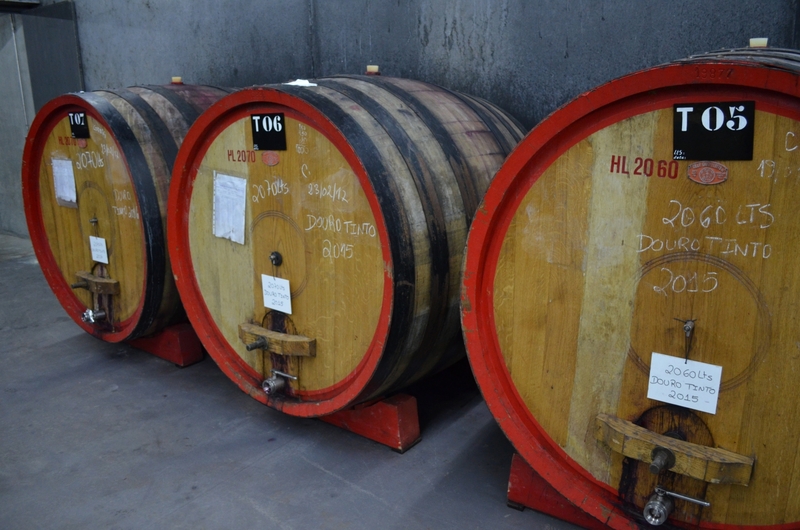 Of the French oak barrels, 25% of the barrels are new but are seasoned with water for 1 year then used in its second year for the first time with Le Pergole Torte, while the oldest barrels are 5-6 years at most. 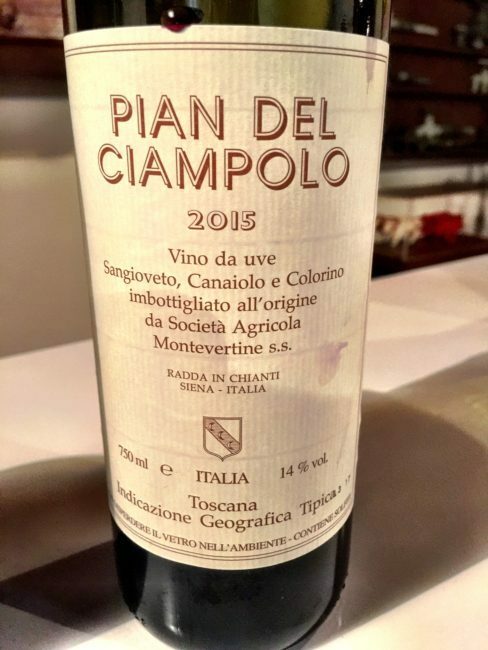 he Pian del Ciampolo is usually made from the youngest vineyards and is a blend that is mostly Sangiovese (90%) and the rest Canaiolo and Colorino, the traditional components of old school Chianti wines. It spends 1 year in Slavonian oak and is meant for earlier consumption. 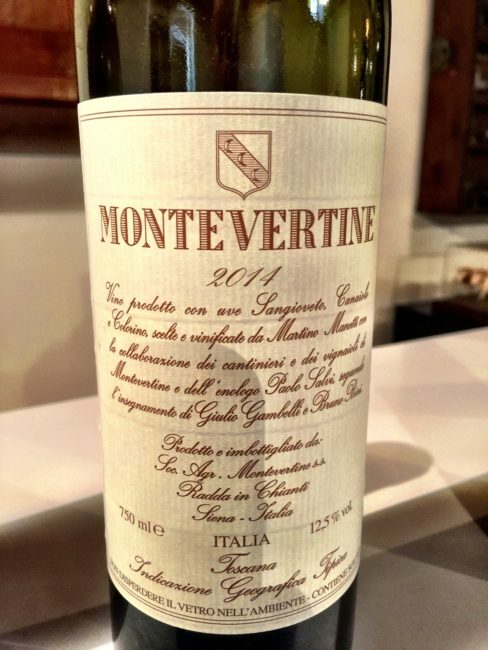 The Montevertine is what one would think most represents a classic Chianti wine as it is more serious and typically comes from the older middle-aged vines, as well as seeing a longer maturation time in old Slavonian oak barrels (2 years). Montevertine is also 90% Sangiovese and the balance Canaiolo and Colorino. The flagship of the estate, and one of Italy’s top wines, the 100% Sangiovese “Le Pergole Torte” is an example of what a terroir-driven, pure Sangiovese wine is capable of. It is aged 18-24 months in oak depending on the vintage, with the first 12 months in old Slavonian oak, with the balance in Allier French oak barrels. 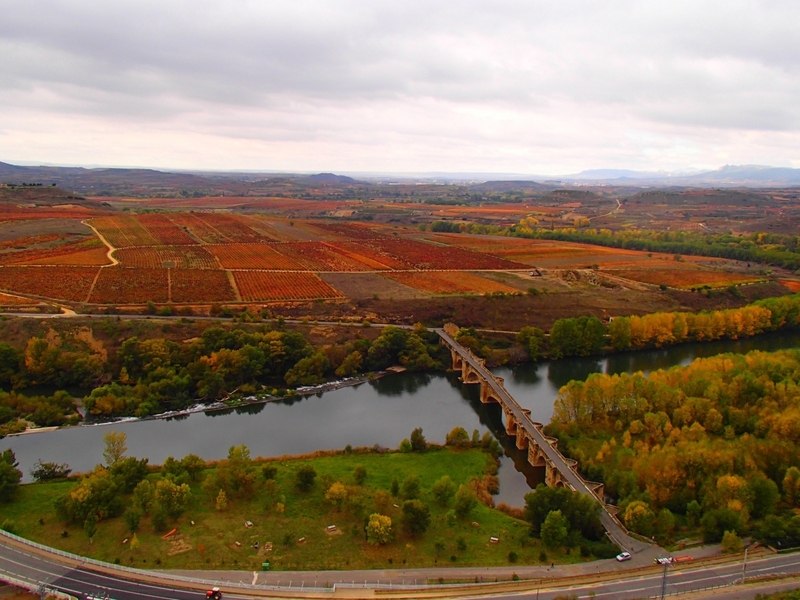 The vineyards are a kaleidoscope of different soil types and varied expositions, a total of 18 hectares planted at a high elevation of around 425 meters. Organic viticulture is practiced but is not strictly certified. 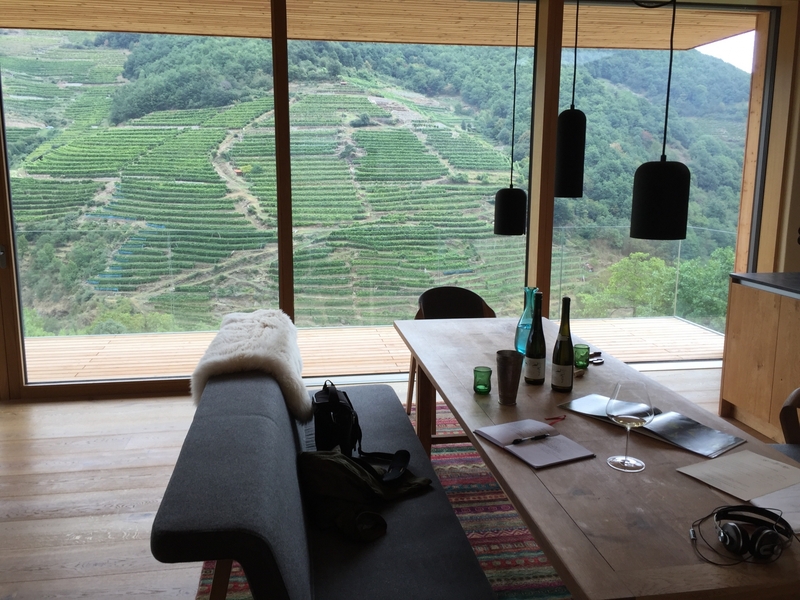 To give you an idea of what it looks like, the home and the winemaking facilities sit atop the hill while the vineyards spread out in the different directions down the hillsides. 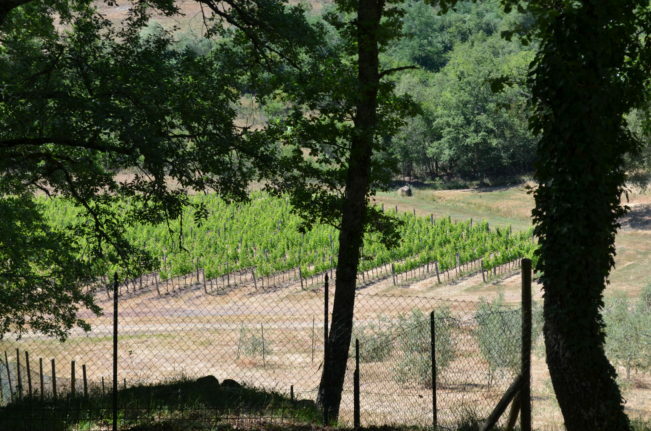 While the oldest vineyard planted in 1968 is called “Le Pergole Torte”, the wine itself is not a single vineyard wine solely made from this vineyard, it is made from the best parcels of all of the Montevertine vineyards in a given vintage. That being said, Le Pergole Torte (the wine) typically hails from the same sites in most vintages with the backbone of the wine being the Le Pergole Torte vineyard which is a total of 2 hectares and has a high concentration of iron in its very rocky soil which leads most people to theorize is the source of its great complex mineral character in the wine. 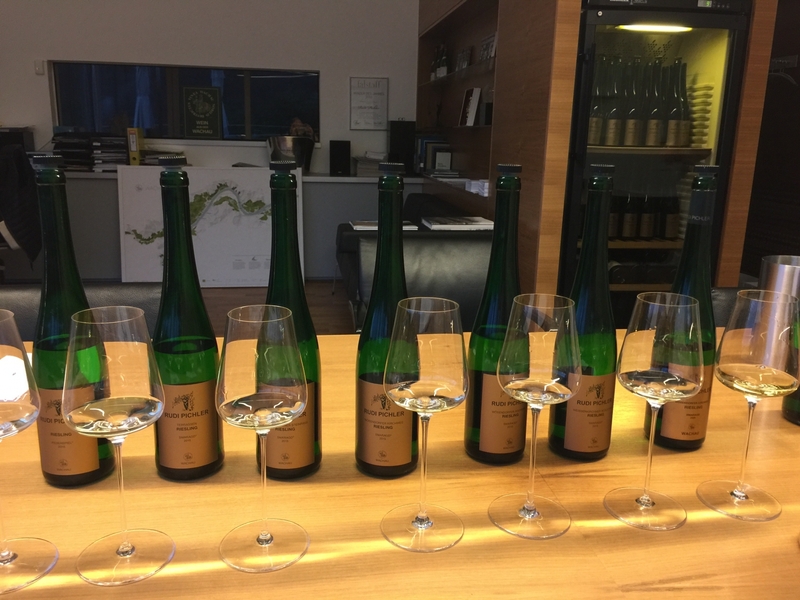 Le Pergole Torte is typically only made in great vintages, but in recent years the wine has been made in almost every vintage (except 2005, 2002, 1991 and 1989). 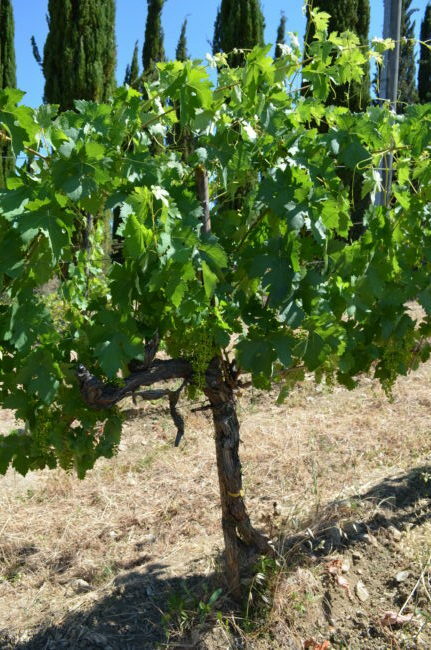 The older vines are easy to disseminate as they have a wild, old contorted look (“Torte”) and are pruned in the Guyot style, while the younger vines are smaller and cordon arm trained. 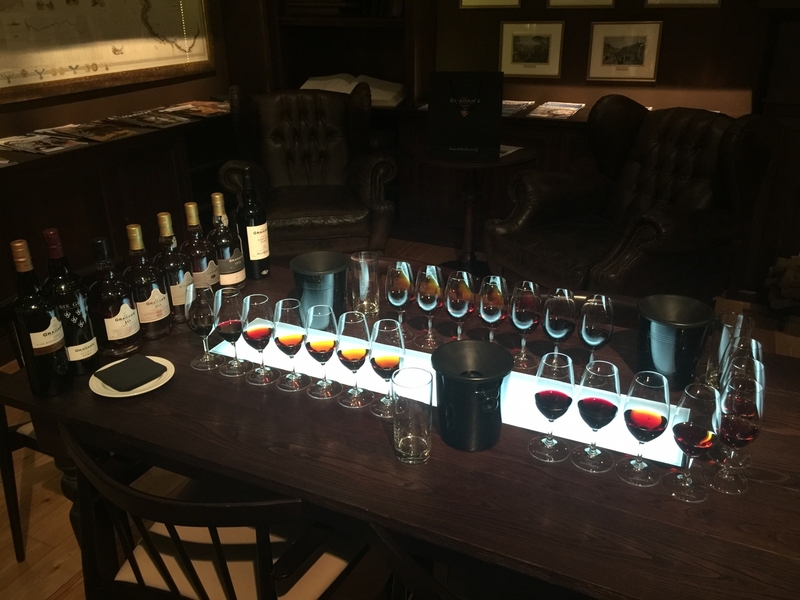 Otherwise, most of the soils are the typical hard rock alberese and brittle galestro Chianti Classico soils. Much of the sites were replanted or are new and planted between 1997-2003. A portion of the Montevertine vineyard planted in 1982 remains. In the Montevertine vineyard, I noticed an interesting style of vine training I had never seen, “Capovolto” I was told by my host Stephen Giuliani. Also known as “Arched Cane” it is a variation of Guyot and on a few different forms of training systems where canes are arched rather than being tied horizontally to a wire. This practice is claimed to lead to better bud break in the center of the canes, where buds do not normally burst well. 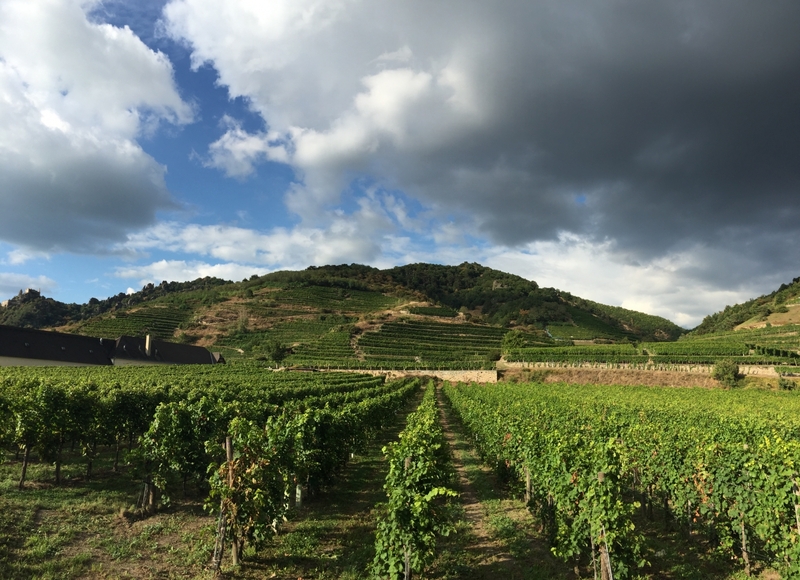 Le Pergole Torte vineyard, planted in 1968, is 2 hectares and faces N-NE with a gradual descending slope. One of the now 50 year-old contorted vines in “Le Pergole Torte”. The lowest elevation vineyard, Pian del Ciampolo, was planted in 2003, is 1.5 hectares, and has a W-NW exposure. 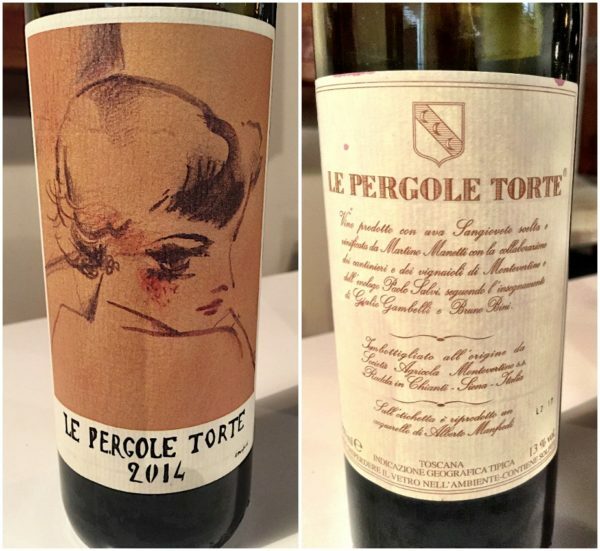 You will notice that each vintage of Le Pergole Torte is emblazoned with a different, but similarly angular artistic image of a woman on its label. Modern Italian artist Alberto Manfredi was first commissioned to create a label in 1982 by Sergio Manetti and ever since then, a Manfredi image has appeared on a label when Le Pergole Torte is produced. The style of the painting is called Cubo-Futurism and has exaggerated shapes with sharp and angles and lines to create a defined image. 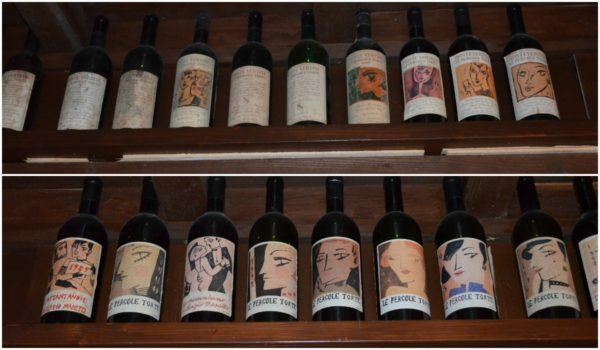 Le Pergole Torte labels through the years, the first label by Cubo-Futurism artist Alberto Manfredi was in 1982. Founder Sergio Manetti purchased the Montevertine site in 1967 and produced its first wine in 1971 with the help of his longtime childhood friend, Sangiovese expert, and famed winemaking consultant Giulio Gambelli. 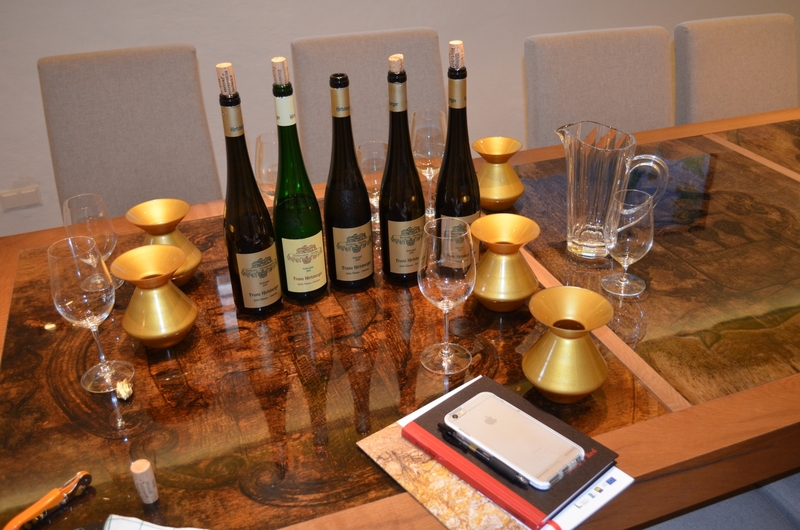 Though at first, wine was something that was only to be a hobby for personal consumption. On a whim, Sergio submitted these first wines to Vinitaly and they were such a success, he quit the steel business altogether and focused his energy on Montevertine. Make no mistake that without Giulio Gambelli, Le Pergole Torte and Montevertine may not be what it is today. Sergio’s son Martino now manages Montevertine as Sergio died in 2000, while Giulio’s last vintage was 2011, having passed away early 2012. Bruno Bini was born at Montevertine and stayed with Sergio when he purchased the site to manage the property and became Sergio’s right-hand man. After Sergio’s death, it would have been impossible for Martino to have carried on his father’s vision if it were not for Gambelli and Bini. I don’t see much changing as time passes at Montevertine, and why should it? It’s an original, unabashed and not a slave to fashion. 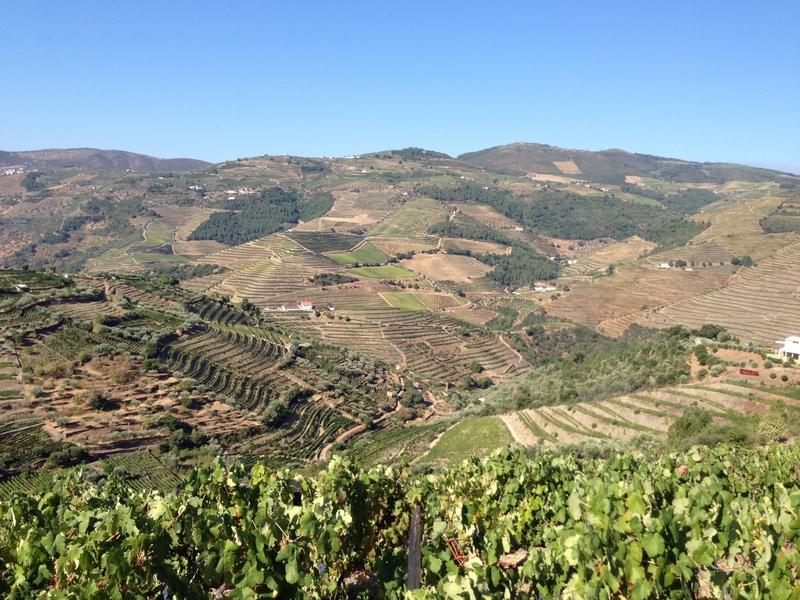 Martino and his team are messengers of terroir and seem to be intent on maintaining that. While rejecting the future 35 years ago, Sergio Manetti sowed the seeds to a new future, one that looked forward while also remembering their roots in the past and the heart of pure Tuscan wine, one that stays true to the virtues of great Sangiovese. The 2014 growing season was a disaster in most of Tuscany. It was a cooler year with less sun and a very rainy late spring and early summer. The higher elevation and northerly latitude saved the vintage as worse weather was to the south and rot infested lower and warmer elevations. Harvest was late, starting in the last half of October, grapes were still green by the end of August. Other regions were already waterlogged grapes. A beautiful September and October allowed for the fruit to ripen without disease or waterlogged grapes. A medium+ nose, gorgeously complex with florals, fruit, spice, minerality, and earth. The palate is med/med+ with a perfect balance of freshness, wonderful restrained intensity, stunningly pure and velvety, with stunning persistence of length for this age. The fresh and lively acidity will keep this chugging along just fine. What a great time to catch this, I expect it will probably shut down at some point. The barrique is noticeable, but very minimal and undoubtedly will integrate over the next few years. Normally firmer tannin and a more closed personality, but this is charming and will probably be youthful for 6 years, maturity should stretch to 20-25 years. Bright red fruited cherry, cool licorice, very minerally, also open and ready to drink, but should age well into the medium range. On the palate notes of roast meat, sappy cherry, wildflowers, baking spices, with an earthy and clean presence, pure Sangiovese. Secondary notes of leather and sweet cedar appear. There is wonderful acidity and freshness, which in the end is more typical of the style of Montevertine. Drink 2007 and 2009, wait on 2008, 2010, and 2011 to come around, those were very warm years. 2015 was a warm vintage and this wine shows some of the charms of a warmer growing season, but still keeping in the style of Montevertine. A clear ruby red color to the core, slightly transparent. This has a wonderful perfume, elegant, fruity, with roses and wildflowers, cherry, raspberry, and a hint of garden herbs and savory. The palate is fresh and vibrant with ripe but cool juicy red fruits, med/med+ body, medium firm tannin, medium+ acidity and finish. The warm growing season added a little extra oomph to the wine. A La Pergole Torte vineyard stone about the size of a small melon, notice the signature iron marks of red and rust on the stone, a hallmark sign of the vineyard. The large lined cement tanks of Montevertine used for fermentation and storage. Pergole Torte 2015 in botte. Pergole Torte 2014 in cement tank soon to be bottled. Montevertine 2015 in cement tank. Montevertine 2014 in cement tank soon to be bottled. On top of many wine botte/barrels in Italy you will see this ingenious glass device. This is a tappo colmatore which allows for the expansion of the wine while in the barrel so it can be completely filled. 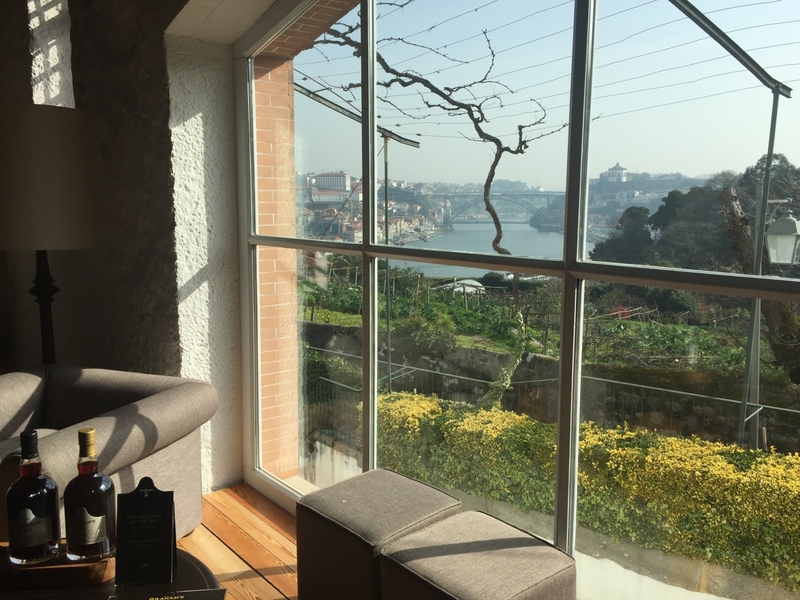 It also serves as a visual display of how the fermentation process is going and allows for the escape of carbon dioxide produced during fermentation. Water in the colmatore, like you see here, prevents air and bacteria from entering the wine. It is said the colmatore was invented by Leonardo da Vinci, a Tuscany native, and a wine lover in his own right. The colmatore has been in regular use since the 19th century.